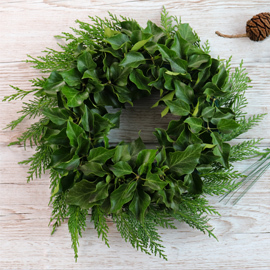 It is really worth going out and gathering foliage from your garden to decorate your wreath to create a natural festive look. You can adapt this to your own preferences and based on what you are able to find. Dip the foam into cold water until the oasis goes dark green in colour and feels heavier from the water it’s taken in. 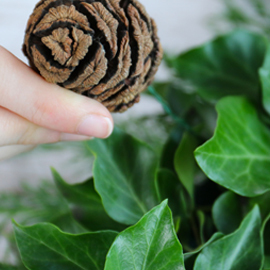 Lay out the foliage you are using on the wreath. 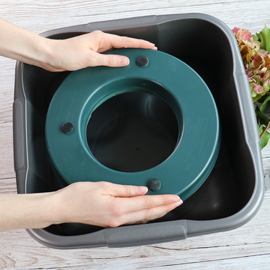 Take away the lower leaves and cut each stem on an angle. Add the background foliage such as conifer on an angle either clockwise or anti clockwise. 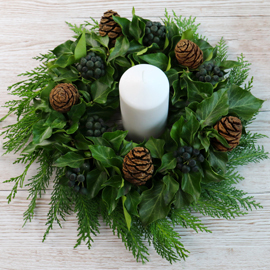 Cover the top of the wreath with green foliage such as ivy on an angle to cover as much of the foam as possible. 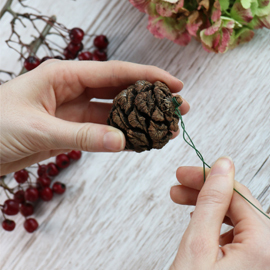 Twist the wire around the bottom of the pinecones, leaving a length of wire exposed (approx. 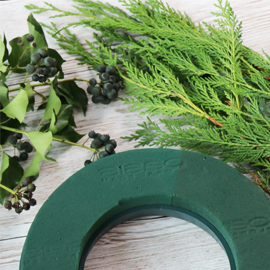 2”) to place into the wreath along with berries. 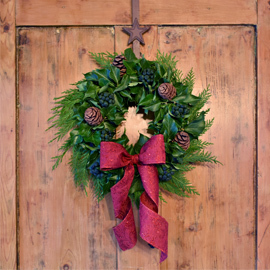 Create your design the whole way around the wreath as you wish. 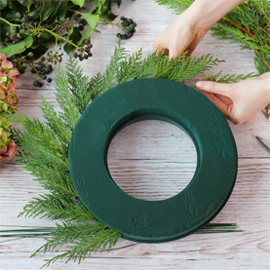 You are now ready to use your festive wreath as either a beautiful table centrepiece or a hanging decoration. To hang, simply weave a piece of ribbon through the foliage, careful not to damage the greenery or place on a wreath hanger. Having picked the perfect Christmas tree, you’ll want your Christmas tree to stay fresh, full and healthy for as long as possible throughout the festive season.